Commonly known as marram grass, Ammophila arenaria is a beach grass native to Europe, the Mediterranean, and the coasts of the Black Sea. Widely distributed to stabilise and establish sand dunes for forestry plantings, property protection and erosion control, it can compete with and displace native vegetation communities and alter habitats with further consequences for invertebrate communities and bird species such as the 'Endangered (EN)' Chatham Island oystercatcher (see Haematopus chathamensis). Once established, it spreads through rigorous rhizome growth and is difficult and costly to control. Ammophila arenaria is a coarse, perennial grass with stout culms that may reach 120 cm tall (Huiskes, 1979; in Buell et al., 1995) with dense, spike-like panicles and long, sharp leaf blades which may reach up to five feet (Green, 1985). It has extensive and deep, scaly rhizomes (Green, 1965) which may give it an advantage in accessing water and nutrients (Partridge, 1995; in Dixon et al., 2004). In the United States, inflorescences of Ammophila arenaria are initiated in autumn of the second year after germination and mature in May or June with flowering occuring from May to August (Russo et al., 1988). In Europe, anthesis occurs in July and August but has been reported as early as May with mature fruits being dispersed in September, and seeds germinating in the following spring (Russo et al., 1988). The viability of seeds however is very low with most reproduction occuring vegetatively through rhizome fragments (Russo et al., 1988). Ammophila arenaria has been widely distributed along coasts to stabilise and establish sand dunes for forestry plantings, property protection and erosion control (Russo et al., 1988; Dixon et al., 2004; Hilton, 2006). Ammophila arenaria grows in substrates with low organic matter and free drainage, growing most vigorously in mobile or semi-stable sand dunes (Huiskes, 1979; in Buell et al., 1995) and thriving in wind-blown, foredune areas above the high tide line (Buell et al., 1995). It is highly adapted to sand accretion, growing vigorously with the continued addition of fresh sand, and requiring it to avoid senescence (Russo et al., 1988). Burial by sand promotes elongation of the leaves and the development of adventitious roots (Ranwell, 1959; in Russo et al., 1988). It tolerates a range of soil pH from 4.5 - 9.0, soil temperatures from 10 - 40°C (Ranwell, 1959; in Russo et al., 1988), and salt concentrations of no more than 1 - 1.5 % (Pickart, 1997). In its native range A. arenaria alone makes up the foredune plant community (Russo et al., 1988). Further inland, other species are able to establish when the sand movement stabilises and A. arenaria subsequently begins to senesce (Russo et al., 1988). In introduced habitats, A. arenaria initiates the formation of foredunes but does so differently than native plants, altering the habitat and subsequently displacing various native coastal species (US Fish and Wildlife Service, 2001; Moore & Davis, 2004). Ammophila arenaria primarily reproduces vegatatively both from rhizomes and small basal buds located at the base of stems under their lower leaf sheaths (Green, 1965). It is capable of flowering from the end of June through August (in Oregon) but rarely produces viable seeds (Green, 1965). Seedlings have been found in nature but occur rarely with any seedlings that are observed usually living no longer than seven weeks due to small-scale sand erosion, desiccation, or burial (Huiskes, 1977). However, at certain locations where water is retained by an impermeable layer of boulder clay and the soil remains damp for longer periods, seedlings may establish (Huiskes, 1977). Most introductions of Ammophila arenaria to new locations result from intentional planting to the stabilize sand dunes (Aptekar & Rejmanek, 2000).Ammophila arenaria may be dispersed to new locations by the marine transport of dormant rhizomes, which can withstand submersion for long periods (Pickart, 1997). Principal source: Pickart, Andrea J. 1997. Control of European Beachgrass (Ammophila arenaria) on the West Coast of the United States. California Exotic Pest Plant Council, The Nature Conservancy Lanphere-Christensen Dunes Preserve Arcata, CA 95521. Russo, Mary; Andrea Pickart; Larry Morse and Rick Young, 1988. 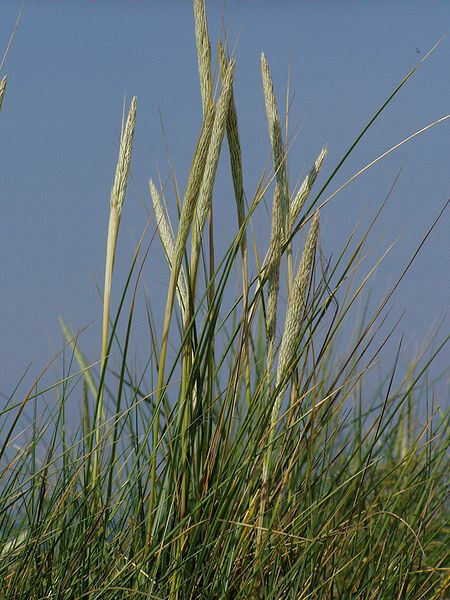 Element Stewardship Abstract for Ammophila arenaria European Beachgrass. Recommended citation: Global Invasive Species Database (2019) Species profile: Ammophila arenaria. Downloaded from http://www.iucngisd.org/gisd/speciesname/Ammophila+arenaria on 21-04-2019. Ammophila arenaria is a strong competitor, capable of completely displacing native vegetation communities in some parts of its introduced range (Pickart, 1997; Hilton et al., 2005). This is attributed primarily to the ability of A. arenaria to rapidly accrete sand and survive the subsequent burial for much longer than native plant species (Hilton, et al., 2005) in addition to its higher drought resistance (Dixon, et al., 2004), vigorous rhizomatous reproduction (Hertling & Lubke, 2000) and ecological tolerance, including resistance to erosion (Hertling & Lubke, 2000; Hilton et al., 2006). It has also been suggested that A. arenaria may acculmulate local pathogens to the detriment of nearby native plants (Eppinga et al., 2006). A. arenaria forms dense monospecific stands which can differ greatly from the sparse native coastal vegetation that are the norm for some invaded areas in the United States and New Zealand (US Fish and Wildlife Service, 2001; Moore & Davis, 2004). This alters the natural dynamics of dune systems and can result in a drastically changed coastal topography or beach profile (Russo et al., 1988), with the creation of taller and steeper dunes than normal (US Fish and Wildlife Service, 2001; Moore & Davis, 2004). In addition to altering the impact and effect of storms and reducing the supply of sand to nearby areas (Dolan et al., 1973; in Russo et al., 1988), this can also reduce the nesting habitats of birds including the 'Endangered (EN)' Chatham Island oystercatcher (see Haematopus chathamensis in the IUCN Red List of Threatened Species) (Moore & Davis, 2004) and the federally listed snowy plover, (See Charadrius alexandrinus in the IUCN Red List of Threatened Species) (US Fish and Wildlife Service, 2001). A. arenaria is also known to significantly alter invertebrate communities, with even small percentages of cover severely depressing arthopod populations (Slobodchikoff & Doyen, 1977) and with dunes planted with A. arenaria having a higher Diptera abundance but lower Isopod abundance when compared to unmodified dunes (Web et al., 2000). Please follow this link for a detailed account of the management and control of Ammophila arenaria. A summary can be found below. Physical control: Physcial control is the most effective, but also the most cost and labour intensive management option; it involves hand pulling or digging out plants with a shovel or alternatively using heavy machinery to excavate and bury or rip underground rhizomes (Pickart, 1997). Chemical Control: Glyphosate based herbicides such as Roundup and Rodeo have been found to be effective as well as haloxyfop based herbicides such as Gallant (Pickart, 1997; Moore & Davis, 2004). Haloxyfop based herbicides have the advantage of being grass-specific and therefore will not kill non-target native broadleaf species like glyphosate based herbicides (Moore & Davis, 2004). Integrated management: All chemical treatment programs will have to include a physical removal element, as regrowth is not sufficiently exposed enough for follow up herbicide use, and dead biomass needs to be manually cleared before native habitat can be restored (Pickart, 1997). Futhermore, integrated management involving the use of prescribed fires (which are ineffective if used alone) followed by glyphosate-based herbicide use have shown promising and cost-effective results as an alternative to physical control techniques (Hyland & Holloran, undated). Informations on Ammophila arenaria has been recorded for the following locations. Click on the name for additional informations. Bergin, D.O., FitzSimons, P., Freeman, C., Herbert, J.W., Kesby, N.A. 1997. 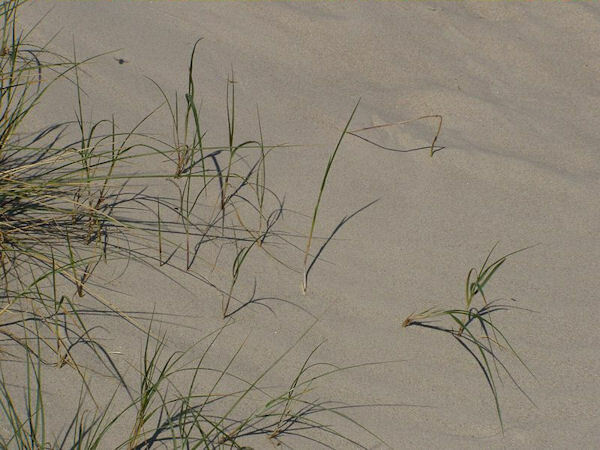 Management of marram grass in the restoration of indigenous coastal dune vegetation in Australia and New Zealand. Pacific Coasts and Ports 97. Proceedings Volume 1. pp. 431-436. Sep 1997. Summary: Problems with degradation and management of sand dunes occur in both Australia and New Zealand. Many parts of sandy coastlines have been modified, particularly since European settlement. Marram grass (Ammophila arenaria), introduced last century to both countries to assist in stabilising dunes, has become a successful coloniser of dunes in higher latitudes where the climate is temperate. Management of marram grass-dominated sites is becoming a major issue in situations where coastal management agencies and community Coast Care groups wish to restore sites to indigenous vegetation communities while maintaining sand stability. Use of marram grass in New Zealand and the south-eastern states of Australia is reviewed. Examples of research and operational projects designed to replace marram grass with indigenous species are described. Continuing collaboration between research providers and dune managers on both sides of the Tasman is likely to result in enhancement of the natural character of the dunes without compromising the stabilising role of the vegetation cover. Konlechner T.M. and Hilton M.J., undated. Ammophila arenaria dispersal and Invasion in New Zealand. Pickart, Andrea J. 1997. Control of European Beachgrass (Ammophila arenaria) on the West Coast of the United States. California Exotic Pest Plant Council, The Nature Conservancy Lanphere-Christensen Dunes Preserve Arcata, CA 95521. Van der Putten, W.H. and Peters, B.A.M. 1995. 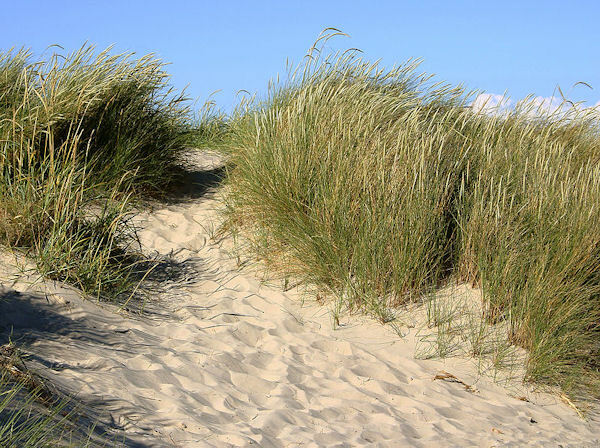 Possibilities for management of coastal foredunes with deteriorated stands of Ammophila arenaria (marram grass). Journal of Coastal Conservation 1 (1), pp. 29-39. Wiedemann, Alfred M. and Pickart, Andrea. 1996. The Ammophila problem on the Northwest coast of North America. Landscape & Urban Planning. 34(3-4). 1996. 287-299. Aptekar, Rachel and Rejmanek, Marcel. 2000. The effect of sea-water submergence on rhizome bud viability of the introduced Ammophila arenaria and the native Leymus mollis in California. Journal of Coastal Conservation. 6(1). May, 2000. 107-111. Beckstead, Julie and Parker, Ingrid M. 2993. Invasiveness of Ammophila arenaria: Release from soil-borne pathogens?. Ecology (Washington D C). 84(11). November 2003. 2824-2831. Buell, Ann C., Pickart, Andrea J., Stuart, John D. 1995. Introduction history and invasion patterns of Ammophila arenaria on the north coast of California. Conservation Biology. 9(6). 1995. 1587-1593. Dixon, Pip, Hilton, Mike, Bannister, Peter. 2004. Desmoschoenus spiralis displacement by Ammophila arenaria: the role of drought. New Zealand Journal of Ecology. 28(2). 2004. 207-213. Eppinga, Maarten B., Rietkerk, Max, Dekker, Stefan C., De Ruiter, Peter C., Van der Putten, Wim H. 2006. Accumulation of local pathogens: a new hypothesis to explain exotic plant invasions. Oikos. 114(1). JUL 2006. 168-176. Green, Diantha Louise. 1965. 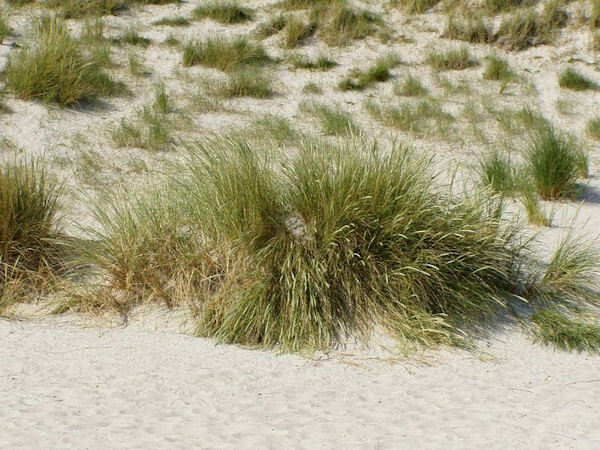 Developmental history of European beachgrass (Ammophila arenaria (L.) Link) plantings on the Oregon coastal sand dunes. Hertling, U. M. and Lubke, R. A. 1999. Use of Ammophila arenaria for dune stabilization in South Africa and its current distribution: Perceptions and problems. Environmental Management. 24(4). Nov., 1999. 467-482. Hertling, U. M. and Lubke, R. A. 2000. Assessing the potential for biological invasion: The case of Ammophila arenaria in South Africa. South African Journal of Science. 96(9-10). September-October, 2000. 520-527. Hilton, M., Harvey, N., Hart, A., James, K., Arbuckle, C. 2006. The impact of exotic dune grass species on foredune development in Australia and New Zealand: A case study of Ammophila arenaria and Thinopyrum junceiforme. Australian Geographer Volume 37, Issue 3, November 2006, Pages 313-334. Hilton, Michael J. 2006. The loss of New Zealand�s active dunes and the spread of marram grass (Ammophila arenaria). New Zealand Geographer (2006) 62, 105�120. Hilton, Mike, Duncan, Megan, Jul, Anne. 2005. Processes of Ammophila arenaria (marram grass) invasion and indigenous species displacement, Stewart Island, New Zealand. Journal of Coastal Research. 21(1). January 2005. 175-185. Knevel, Irma C., Lans, Thomas, Menting, Frank B. J., Hertling, Ursula M., van der Putten, Wim H. 2004. Release from native root herbivores and biotic resistance by soil pathogens in a new habitat both affect the alien Ammophila arenaria in South Africa. Oecologia (Berlin). 141(3). November 2004. 502-510. Lubke, R.A. and Hertling, U.M. 2001. The role of European marram grass in dune stabilization and succession near Cape Agulhas, South Africa. Journal of Coastal Conservation Volume 7, Issue 2, 2001, Pages 171-182. Lubke, R.A., Hertling, U.M., Avis, A.M. 1995. Is Ammophila arenaria (Marram grass) a threat to South African dune fields?. Journal of Coastal Conservation 1 (2), pp. 103-108. Pratt, Ruth. 2001. Western Snowy Plover (Charadrius alexandrinus nivosus) Pacific Coast Populations Draft Recovery Plan. U.S. Fish and Wildlife Service. Portland , Oregon. Xix+ 630 pp. Rodriguez-Echeverria, S., H. Freitas, and W.H. van der Putten., 2008. Genetic Diversity and Differentiation of Ammophila arenaria (L.) Link as Revealed by ISSR Markers. Journal of Coastal Research, 24(1), 122�126. West Palm Beach (Florida), ISSN 0749-0208. USDA-ARS, 2009. Taxon: Ammophila arenaria (L.) Link. National Genetic Resources Program. Germplasm Resources Information Network - (GRIN) [Online Database]. National Germplasm Resources Laboratory, Beltsville, Maryland. Van der Putten, W.H. 1990. Establishment of Ammophila arenaria (Marram grass) from culms, seeds and rhizomes. Journal of Applied Ecology (1990), 27, 188-199. Van der Putten, W. H., Yeates, G. W., Duyts, H., Reis, C. Schreck, Karssen, G. 2005. Invasive plants and their escape from root herbivory: a worldwide comparison of the root-feeding nematode communities of the dune grass Ammophila arenaria in natural and introduced ranges. Biological Invasions. 7(4). JUL 2005. 733-746. Van Der Stoel, C. D., van der Putten, W. H., Duyts, H. 2002. Development of a negative plant-soil feedback in the expansion zone of the clonal grass Ammophila arenaria following root formation and nematode colonization. Journal of Ecology. 90(6). December 2002. 978-988. Webb, Cameron E., Oliver, Ian, Pik, Anthony J. 2000. Does coastal foredune stabilization with Ammophila arenaria restore plant and arthropod communities in southeastern Australia?. Restoration Ecology. 8(3). September, 2000. 283-288. World Register of Marine Species (WoRMS), 2009. Ammophila arenaria (L.) Link.